The animation shows what the eclipse approximately looks like in New Chelsea-New Melbourne-Brownsdale-Sibley's Cove-Lead Cove. Stages and times of the eclipse are outlined below. All times are local time (NDT) for New Chelsea-New Melbourne-Brownsdale-Sibley's Cove-Lead Cove. Maximum in New Chelsea-New Melbourne-Brownsdale-Sibley's Cove-Lead Cove This is the moment when the eclipse reaches its greatest magnitude while the entire Moon is above the horizon in New Chelsea-New Melbourne-Brownsdale-Sibley's Cove-Lead Cove. 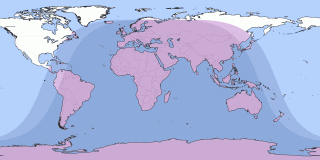 The true maximum point of this eclipse cannot be seen in New Chelsea-New Melbourne-Brownsdale-Sibley's Cove-Lead Cove because the Moon is below the horizon at that time. Note: Click on the date link for details in New Chelsea-New Melbourne-Brownsdale-Sibley's Cove-Lead Cove, or the path map image for global details. Currently shown eclipse is highlighted.